Cosplay Costume Ideas are easy at Dallas Vintage Shop. 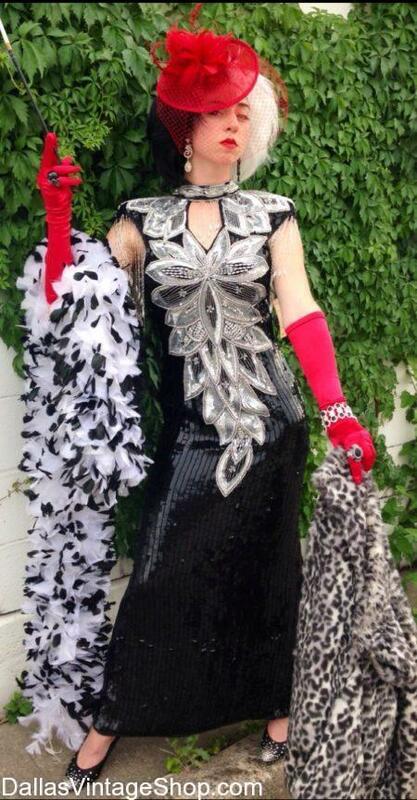 This Glamorous Cosplay Cruella De Vil Gorgeous Gown will get you plenty of attention as you stroll the convention floor. Watch people get out of the way and let this Attention Getting Villain pass through. Who is your favorite cosplay character? We have many versions of the 101 Dalmatians, Cruella De Vil Costumes & Accessories. Who is your favorite villain? We’ve got it. You are in Cruella De Vil category.